For those of us, the non-Japanese folk, who when asked what we know about Japan were thinking California roll and sushi, now is the time to change that and start thinking Space Battleship Yamato. Number 1 in the Japanese box office, this sci fi blockbuster hit the screens in December 2010 with everything it’s got and it doesn’t let go! The movie is absolutely a blast and such a fun to watch. Based largely on the 1974 plot of what is now a cult anime franchise with a 35+ history in Japan, it also contains elements from the anime’s sequels, which in turn don’t spoil an overly amazing impression. It basically feels like a tribute to the Yamato legacy, made into a universally understood and appreciated new product that still has Japanese written all over it, and proudly so. The story has an old epic at its backbone – a heroic group sets out to save mankind from an unthinkable disaster. Add a little love twist and a few touchy heartfelt scenes, and you have an aspiring space opera, full of action and adventure. Contrary to the opinion of some critics that the movie does not explore the depth of human emotions but merely brushes over them, Space Battleship Yamato in the view of yours truly does an excellent job in working out conflicts and placing characters in situations of tough choices and heart wrenching decisions. Remember – you are watching a blockbuster, not a soap. Putting forward the intensity of human response to the threat of annihilation, pressure and stress, the movie is all about team work, personal initiative, friendship and comradeship in a very recognizable trademarked Japanese kind of way. 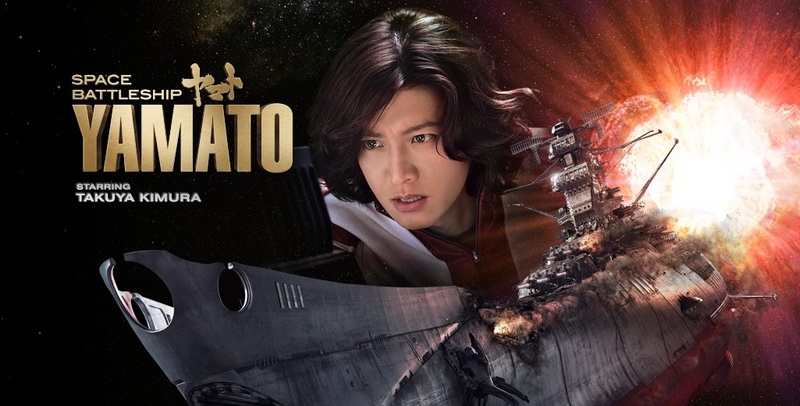 In 2009, when first hearing that Space Battleship Yamato was to be filmed, there came this fear that the movie would repeat the fate of Sayonara Jupiter, where script adaptation by Sakyo Komatsu, the renowned author of the book the movie was based on, failed with flying colors; an otherwise intriguing plot appeared outdated and viewers were unable to connect to what they were seeing on their screens. Luckily so, the script of Space Battleship Yamato defeats that fear. It has been quite well adapted to fit the modern portrayal of the future humans while preserving the original Yamato flavor that was conceived in mid 1970s. Made with the finest samurai tradition in mind, the movie subtly evokes the theme of a global sense of unity and patriotism, where loyalty and passion always go together, but does it in a unique fashion, with a proper Japanese class and honor. Aiming to channel the best in humanity, nearly every scene here thrills one’s nerves and entertains one’s eyes, calling for a lasting ovation.